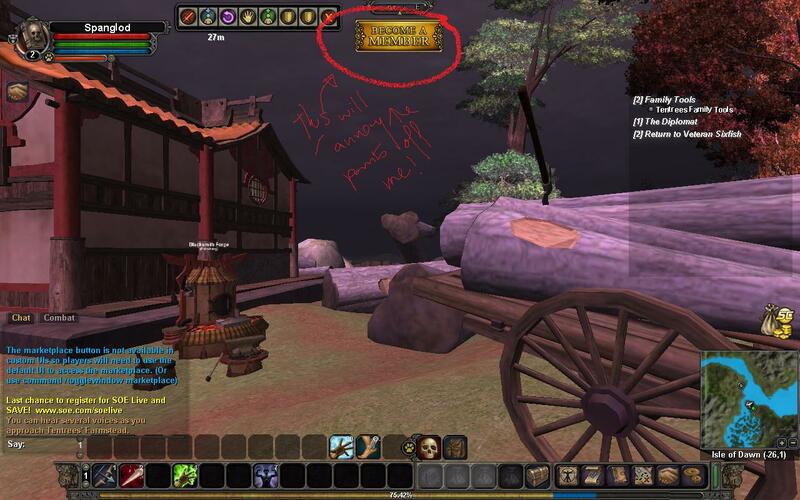 Archeage earlier than we think? Just a stray thought… there’s a lot of big dynamite going off this year (game-launch-wise) I mean – soz, I’m tired), leaving something of a clear field for 2013. I’m wondering who has the nous (and is in a position) to take advantage. I for one, will be watching beta frequencies to see if I can spot any big title that might jump out at us in 2013, and looking for any other signs and portents. EQNext? Possible you know, Sony do shift themselves on the development side, when they want to, and better than having a beta (! 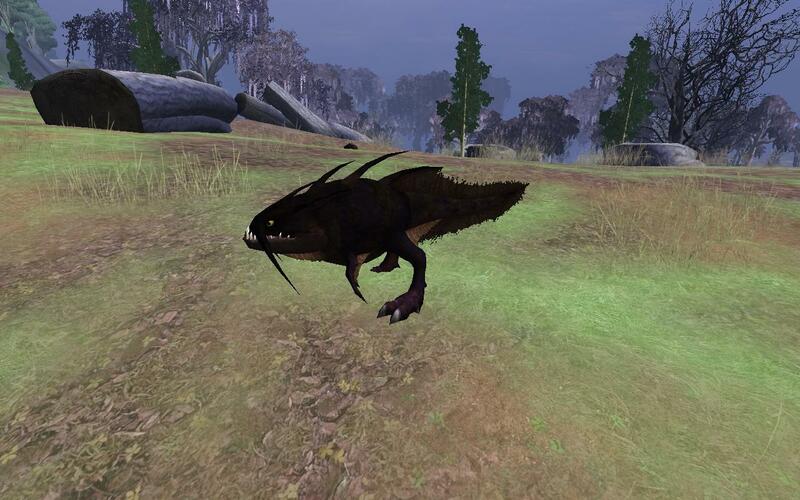 ), some odd things have been popping up in EQ2, there’s no understatement. Those could be tryouts. 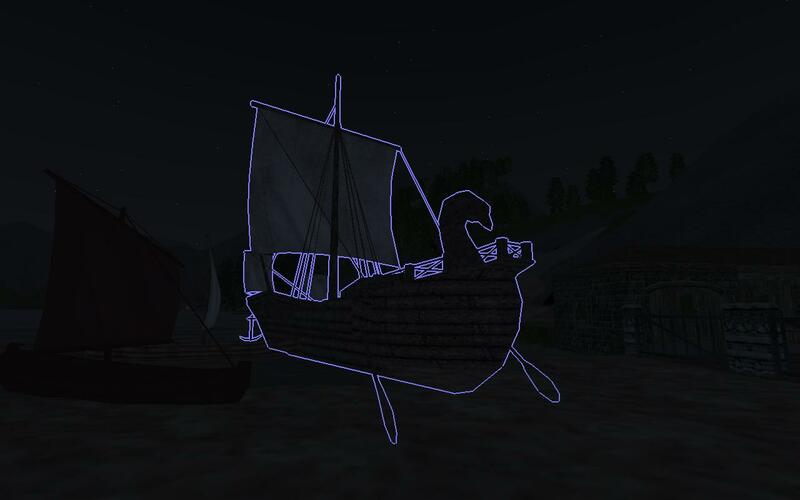 Archeage is in a good place to make a splash in the West … amg maybe even Titan!! (I must get to bed and stop blogging). Things are changing hugely in the mmo world, subscriptions are no longer de rigeur (1), resistance to endgame treadmills is on the rise (2) and I have a post half-prepared for the third horrible truth but you’ll have to wait bercause I really am dropping, and it will make even less sense if I embark now. oh yeah point I was trying to get to. It would make sense to me to ship early on anything that still relies on the old way of doing things. Get rid and clear the decks for whatever strategy appears to be working by next year be it B2p, f2p or any variant; be it lateral content – there will be some indication of what is successful, and it takes so long to make a big game that old projects are going to be a liability. I also think that some of the layoffs and closures we’re seeing are not all due to total fail (I hope so anyway). Small companies can change direction a lot more quickly than the behemoths and we might just be seeing some stuff being ditched because smaller outfits know they’re on a loser with them and want a fresh start for that project new ideas. I google “problems with” name of product, “alternatives to” name of product, and the best of all “I hate” (or other ruder words) name of product? Does anyone have any other good googles-before-buy? Some of those rants are from the heart, I tell ya. is rapidly getting to the point where it needs its own scrapbook, so I made a page on this blog for anyone mildly interested. After a seemly time, this post will be moved there and I can update it as we go. I originally set the page up for a sibling, who is perfect blogger material. Well evidently she thought so too, having explored mine, and is setting up shop over at Moonfruit – I have created a Frankenbloggerdynasty. TWoFB or …Thingie began in a moment of absolute horror. I gazed at my small daughter, shocked, truly shocked to find out that she was learning “Microsoft Word” in “Computing” in lower school and not much else in “Computing”. Ahead of her, bright and shiny as she was, I saw the years stretch … office applications at school followed by a working life in some ghastly box with marginally insane people. Some serious mum stuff kicked in, I can tell you. By nature I am an Executor (it’s not a Bartle label, he missed a lot of ’em). You can tell. I am interested in glue. And bolts, plugs, sockets, cables, knots, ropes, wire, sticky tape, rivets, dowels… and gravity. Joining mechanisms of all kinds. (It’s a dead giveaway.) Before I even think of logistics or costs I’m at what’s going to hold it together and what needs to be joined to what and how many extra bits are needed to be stuck on for completion and functionality. Because I know that if you cannot stick it together, it won’t work so there is no sense in wasting time, effort and money on anything until that aspect is secured. I also know that how you stick it together is crucial for efficiency and all its little relatives (like profit, incidentally). Of course by nature, I’m also a slew of other labels, but mostly, yes, things get done/made/sorted. And I don’t go in for any of this ‘time-frame’, ‘focussed’, ‘driven’,’ other words that mean ‘force-march!’ way of working. It gets done eh. The oblique words are for people who are about extracting what they can – that’s a different activity. Shock, horror, fury happened almost around the same time I started quitting WoW, embarked on a serious life declutter, began the process of getting this house renovation started in earnest, began this blog and a buncha other startup stuff I already completed and forgot. It was a changeful time. Between then and now I have been researching and gathering minimal hardware and software resources and as many thoughts, ideas and drawings as we can spit out. Hardware: We have: 2 old laptops, one external hard drive, one printer/scanner/copier, a wacom pen and tablet, an extra keyboard, a webcam – and that’s it. On the list to get next: Asus gaming laptop, 2nd hard drive, 3rd old laptop (to mess around with sounds), digital camera. Thoughts/ideas/drawings – got tons. Don’t be fooled by the apparent simplicity of this set-up. Nothing was bought or acquired without a lot of reason and research – there is a huge difference between uncluttered due to poverty (including poverty of thought) and uncluttered by choice. Software will follow mostly from our process. For now, five-finger excercises. So Blender, Unity 3 free, the Gimp, LiveBrush. Next: adventures in scripting and code, web design, upload/download sites, have a look at server achitecture and network. Hosting. Quite a lot, but I’m not rushing or rushing anyone else. Right now, I am diminishing the research to background. This phase (initial research) is finished. Tonight’s the very night I hit that spot. I know it internally – it’s part of my nature (as an Executor-when-I-use-that-label) to recognise it. More research will be done, of course, but the focus shifts (to learning our tools). I am satisfied that the parts can be joined up into a coherent, working whole. That took, what, 8 months. But it was done in spare time and when we felt like it, so for future reference, that could be hugely compressed by doing it full-time. It’s very late right now, I just did the last few days of the research task, checking into server hosting, setting up that website for playing with, (and learning about). this changes all the time and I’m not going to write date-stamped updates. It’s a simple plan and changes are no big deal. Trying out some very small ideas and small apps – this is like doing quick sketches or jotting down notes. Sending some tiny apps/ideas through the pipe. From gleam in eye to zipped download. Go through thoughts, ideas, drawings and decide which ones we will work up some. Get some web stuff in place – site, hosting etc. Review – summary posted here when I do it, after cavorting through all the above. Sandbox, definitely. Persistent changing “living” world, yes. Interaction with environment and terrain, yes. Multiplayer, yes and possibly massively multiplayer. There will be a very long alpha friends and family phase, possibly that will be where we stop. If we decide to go further, short beta (might change this, but it would be a test thing, not marketing, so defined tests and trusted beta testers). Payment model – will experiment. Velvet rope is most likely. Ability to invest in and develop avatar – absolutely. Housing – in right from the beginning. The rest we’re still thinking about. A lot more can be done with instance/open world mixes for example. Current solutions are not very satisfying, any of them. happened today. In Wurm Online Reflexx, friend and neighbour finished his second corbita – a feat I have yet to accomplish. Even if it’s not a first ship, there’s something special about this kind of thing in Wurm. 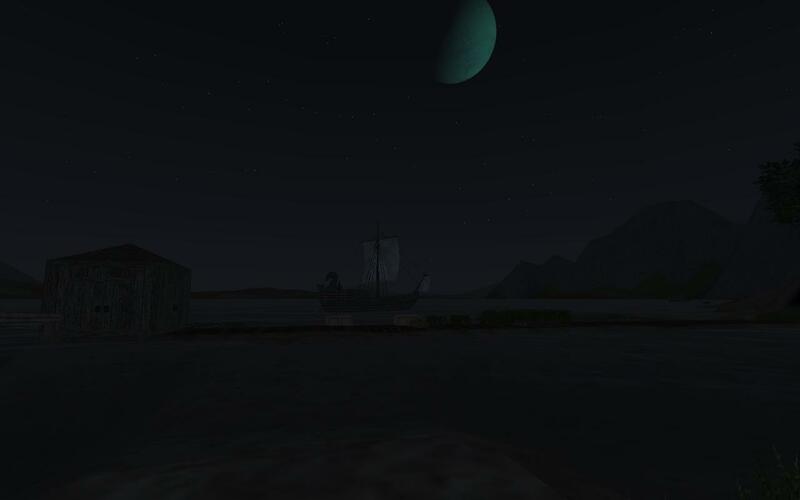 It was dark, nonetheless – screenshots! With GW2 about to release, August the 14th is not a very clever time to choose to re-launch Vanguard in its f2p incarnation – if you want to make money that is. I don’t think Sony want to make money on this one for some reason, looking from outside of the box. Tax reasons? Need a quick loss on some column of figures? Who knows. Anyway, the timing is off. It’s a much-loved older game, with many people looking to return – doldrums is when it should be launched. Sometime when not a lot else is going on, ie Feb/March/April, and a Feb/March/April when nobody else is doing a big hype. It’ll be Panapokkiwow second-next so waiting out the GW2 wave won’t do much good. There is too much else going on in the game world just now, what with SWTOR going f2p and Secret World, if I read aright, trembling on the brink, never mind the big launches I already mentioned. And as well as that they used a false launch date, so probably a lot of people don’t know it’s already up and running. Or could just be they haven’t upgraded the servers very much and are trying to lighten the load via all this. That bodes well doesn’t it. (sarcasm). The good news is it runs better now. If I ever find the document in which I’m doing my “It Runs On This Laptop” matrix, I’ll update the entry on Vanguard. It is still quite sluggish on medium settings, and not much better on low. But much improved – I can play without the controls annoying me. Which means I’ve been playing it properly and not just dipping in, hence this post. I daresay combat isn’t going to be my strong point. A while back, before the Alaplayer thing happened, I had a Station Access pass and made a Vanguard account as part of that exploration. I dropped the All Access sub because of that (Alaplayer) business and a for good few other reasons. I’m not a happy SOE customer. So I do have an old Vanguard account. Last time I played, I quite enjoyed looking at the scenery and doing some beginner stuff but the controls were very, very spongy. Couldn’t stand more than ohh – 15 minutes I’d say. I’m not using that account just now though. I want to see their f2p in its full glory. I made a new account. I know, by the way, quite a few people who are planning to return to Vanguard, but not for quite a while and though they have sub money ready, they too plan to try it out first on an f2p account, and see what they think and how populated it is. I don’t know that I want to make a blanket covering statement – there are quite a few things. The f2p stands out somewhat ummm, well actually it’s an extended free trial, and they should call it that. So another slightly dodgy move there (it mounts up – really there are some things you can’t get away with on the internet). So… a free trial tacked on to a subscription model is what we have. This will work fine if server costs are low and some money dribbles in from the cash shop. I mentally file away the possibility that that is what they are aiming at. Revenue neutral. (Unless of course it somehow becomes wildly popular). Would I buy shares in SOE? Golf Club Guy says No. He is an imaginary figment I use to think outside the box. One of the imaginary figments I have. Golf Club Guy is old and rich and hangs in Golf Clubs with his buddies. They sit on boards. They move on shares in a pack and share information in the kind of male hierarchy we are all familiar with. Top dogs get the most information and the sidekicks get the rumours and can watch and ape their betters. Anyway when the Golf Club Guys move out of a company’s shares it’s curtains. They have no loyalty – you can be their best buddy but they won’t hold shares in your company if they get a whiff of something better. And they always move before anyone else. I repeat this is all an imaginary backstory. (And way off topic.) It works this way – I have a chat with Golf Club Guy (in my head you understand) and he tells me what he thinks of this or that company. Neither of us is interested if he’s right or wrong. He’s imaginary and I don’t buy shares. I just find his views entertaining. Some weird stuff happens in my head u know. By compartmentalising a small tiny part of my brain through imagining Golf Club Guy, I can allow him to come up with things I don’t know I noticed, and shuffle them into patterns I normally wouldn’t see. OK, glad that’s out of the way. So… back to Vanguard. I haven’t wandered around their cash shop, but from what I read it’s heavy on the nickle-and-diming (quel surprise) and tries to carrot and stick people into buying things. That is a one-dimensional and non-functional strategy. Speaking as someone who worked long enough in marketing, that sort of approach is…. sub-optimal. Mechanical customers never existed, yet the myth persists. I like it and I want one! is what you aim for. End of. No amount of sticks or carrots will mechanically induce sales. Only desire….. wooo/ fan, fan fan… anyway. So does Vanguard induce any desire in me to go spend money in their cash shop? Or become a subscriber? Download, check, Install, check, Launch, done fine so far and….. Nag button. Well that won’t keep me around or induce euphoric love leading me to a sub. The opposite. I feel my heels digging in further as I sit here. Creating an artificial need isn’t going to work in this situation. I’d like a nice uncluttered ui, but I’m not going to pay any money a month for it. Did these guys learn marketing in the 70s or something? Jolly good on with the show. I’m just in the starter zone, so not a lot to cover, only generalities. I will probably make many more avatars and jump about here for a while before I go on. I am glad I can try out anything. That will keep me playing for a while. When I get to 20 on something I like, well, if I’ve enjoyed my time ingame I’ll be checking out the price on that unlock and if it is reasonable, I’ll pay. I’m a… a… half, no, dark elf um Necrosomething, you know, summon horrors, that kind of thing. I started on teh starter island for this one, and I’m enjoying the play. 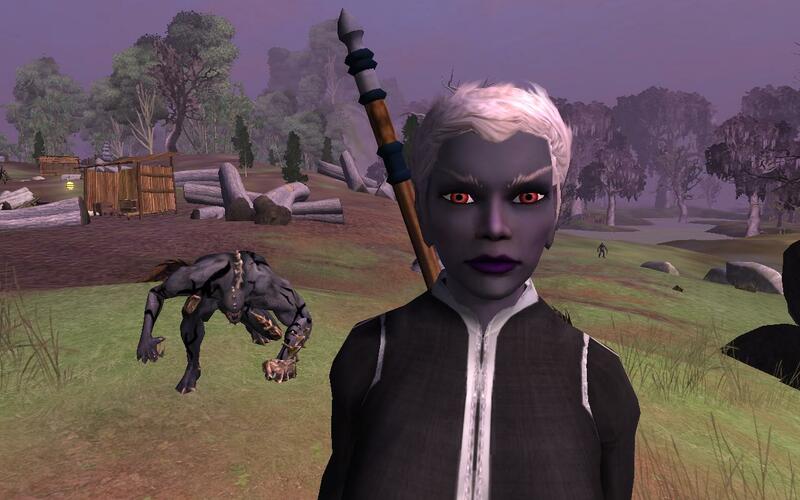 The necrosomething isn’t standing out for any reason – there are a 100 variants on her allover the game world, but it is early days. Once again, the scenery is beautiful, so is the music. The quests follow eachother as easily as dewdrops plopping off a leaf, there is no jarring discord or annoyance. Only one or two people here – same as last time I played (eu). It’s a couple of days before the official launch though. When you create your character you’d be forgiven for thinking you were going to be SOE’s gold-standard ugly (as in EQ, EQ2), but ingame the avatars look fine apart from most peculiar legs. The starter zone is pretty much a starter zone, and well done as such. You learn to fight, to use the ui, to move around etc. You kill ten, put goo on ten. The game is old, it feels quaint. But it’s not so much in the past that it feels alien or awkward – there are enough common points of reference here to be able to play very comfortably. Sound effects really are good – even just the combat. I found it easy to relax, take pictures, listen, enjoy – starter zones aren’t the height of excitement so it’s I just let the newness reign. It’s always in the starter zones that I remember that a lot of people put their time and maybe their hearts into making these beautiful artefacts, games. To choosing that sky, or skin, or scratching it up from nothing. And Vanguard is a particularly beautiful game. …could big it up and fall right into that sky. I’m taking notes as I go, and if things continue to go well, of course, I’ll post again 🙂 So far, so good, Vanguard. Silly season is stilly silly, clearly herely. (More ghastly poyetry from Av). On the other hand, it burns and housedust is no doubt wonderful compost. which I keep losing so I’m putting it here. Using these settings the game looks good and runs well. I fiddle with my settings quite often because things so do change a lot in Wurm Online. I’m going to rather cheekily categorise it under “guides” so anyone can find it when they need it. Did ya know about this cookie law thing? I didn’t know about this cookie law thing (EU). Being suspicious, oldish, crabby, and vehemently disliking people/companies putting stuff on my computer without my permission I’ve always waged a feeble war against them (consisting mostly of checking anti-cookie boxes whenever I find them – which appear to do nahthing). I don’t care to share Any information Actually, Tyvm, without explicitly agreeing. So I am very pleased that legislation is beginning to appear on this and some other issues too. Anyway here’s the low-down on this EU cookie thing courtesy of Superuser blog, found via Stack Exchange. WoW WoW WoW! Jumpy jumpy jumpy! It’s not really a head to head though. Different business models, but the monkeys do love a good monkey jumpy screamy sesh. Gw2! Oh yeah I was going to write something about Activision shares, and then I got diverted, so I expect you to telepathically know what it was, because magic is real. There. All done. You’re right I’m having my very own silly season. But I think I was right about subs (January post) and when GW2 would launch http://raging-monkeys.blogspot.co.uk/2012/04/is-arenanet-suffering-from-blizzard.html#comment-form, so, you could take your chances. You can almost hear the rust falling off the cogwheels as they begin to grind into motion… if no endgame amg, what? what?